A few adjustments may make your home more energy efficient. Saving energy can feel like a challenge because there are so many different ways to do it — from upgrading to programmable thermostats to simply unplugging your cell phone charger when not in use. And yet it’s never any fun to open up your monthly electric bill and see that it’s more than you’ve budgeted for. 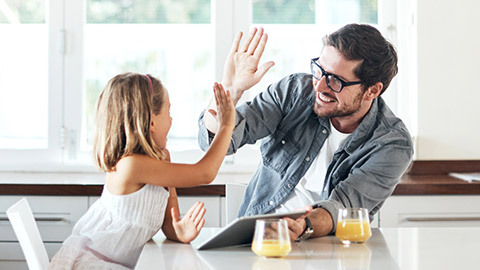 The good news is that it’s not an all-or-nothing situation: By making a few changes around your home, you can start saving energy (and reducing energy costs) right away. Here are some of the top ways to save energy in your home. It sounds like something your mother would say, but she would be right: You should turn off the lights when you leave a room. And try not to have every light ablaze in the room you’re in — just use one or two lamps. Then as your bulbs stop working, replace traditional light bulbs with compact fluorescent or LED bulbs. These energy-efficient light bulbs use 25% to 80% less energy than incandescent bulbs and can last up to 25 times longer. Program your thermostat correctly to reduce heating and cooling costs. New models make it easy to do, and some even enable you to control things from your smartphone — so there’s no excuse for your air conditioner to be on full blast if you’re away on vacation. By turning your thermostat back 10 to 15 degrees while you’re away at work or asleep, you can reduce 5% to 15% a year on your heating bill. Save on heating and cooling by preventing hot and cold air from leaking into your home in the first place. There are many things you can do to prevent the outside elements from coming in: Do a thorough caulking job around window and door frames, close the flue damper when your fireplace isn’t in use, weather-strip exterior doors, and seal and insulate around accessible air conditioning and heating ducts (like you’d find in the attic and basement). Heating water is the third most energy-consuming function in the home, according to the U.S. Department of Energy. Turn down the temperature on your hot water heater (120 degrees is sufficient) and install low-flow showerheads so that you’re using less water during showers. Phantom loads, that is — the energy that an appliance or device uses when it’s plugged in, but not in use. Of course, it’s easier to unplug certain appliances — your over-the-range microwave would require more effort than your laptop, for instance. But try to unplug anything that’s not in use to avoid wasting energy, even small things like your phone charger. Or better yet, plug multiple items into a power strip, and switch the power switch off when not in use. Over time, you’ll be amazed at how small steps like these can make a large dent in your energy consumption — and your monthly electric bills. 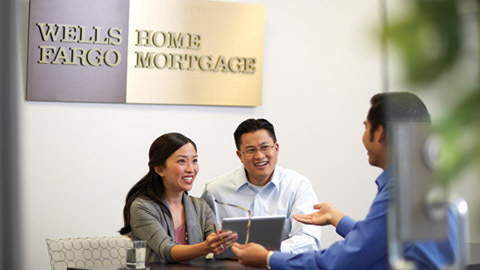 An annual mortgage checkup may help maintain your financial health.